Reuters estimates that as of late December 200,000 people from 19 cities had been displaced, becoming refugees in their own country. Erdogan has justified this rampage in the southeast as an act to “cleanse every place” of militant Kurds affiliated with the Kurdish Workers’ Party (PKK), the organization that has fought the Turkish state for independence on behalf of some 15 million Kurds living within its borders who’ve been subjected to decades of repression. The PKK is labeled a terrorist organization, not just by Turkey but also by the United States and many countries in Europe. This label has stuck despite the fact that the PKK in 1999 initiated a unilateral cease-fire that lasted until 2004, and in 2013 again halted its violent confrontation with the Turkish state for two years, trying to negotiate peacefully for greater autonomy for Kurds until Erdogan withdrew his support for the talks. European Union parliamentarians from Holland, Denmark, and Iceland have stated recently that the EU countries’ continued designation of the PKK as a terrorist organization is hypocritical, because Europe supports the PKK’s Syrian Kurdish sister militias, the People’s Protection Units (the YPG and the all-female YPJ), which have successfully fought off the Islamic State and are ideologically allied with the PKK. Worse, they say, the designation is hampering peace by giving Erdogan license to abandon the negotiations with the PKK that began in 2013 and ended last year. It’s no accident that Erdogan’s assault on Kurdish cities was stepped up dramatically just days after the EU voted against delisting the PKK as a terrorist organization, and that some of those murdered have been members of a Kurdish opposition political party. What exactly is the PKK political model for autonomy that Turkey—and, apparently, Washington and the EU—find so frightening? Imprisoned PKK leader Abdullah Öcalan, and the Kurds in Turkey and Syria who follow him, seek to create communities that enshrine the values of direct democracy, non-hierarchy, the empowerment of women, ecological stewardship, a moral economy, and religious tolerance. Abandoning their ideological bent toward Marxism and demand for an independent Kurdistan, these activists have instead focused on democracy-building: putting power in the hands of local citizens. Unlike the Iraqi Kurds in Erbil who, with US support, have implemented a capitalist, consumerist, and decidedly patriarchal mini–nation state, Öcalan proposes a decentralized political system through the establishment of local assemblies and councils that prioritize self-managed, municipal-based economics, ecological harmony, and gender equality. As Öcalan has noted, this model, which he calls “democratic confederalism” and which deliberately eschews a centralized state, is based on the ideas of my late father, Murray Bookchin, a social theorist and historian, who called this philosophy “libertarian municipalism” or “Communalism.” The notion of citizen empowerment at the core of this philosophy has its roots in the Greek city-state of Athens; it can be seen in the Committees of Correspondence preceding the American Revolution, and still lingers today in the form of Vermont town meetings. It represents an extraordinary development in the Middle East, one that deserves widespread support. In the region of northern Syria along the Turkish border known as Rojava, the power vacuum created by the Syrian civil war has allowed the Kurds to more fully implement Bookchin and Öcalan’s vision. In Rojava, roughly the size of Connecticut, the Kurdish YPG and YPJ militias have pushed the Islamic State out of thousands of square miles of territory. At the same time, under conditions of war and deprivation, they have instituted ground-up neighborhood assemblies in the four “cantons” that comprise Rojava, encouraging citizens of every ethnicity—including Armenians, Kurds, Arabs, Turkmen—to participate in the decision-making processes of all aspects of communal life: land distribution, industry, agriculture, business, healthcare, education, and self-defense. My father believed that this kind of participatory assembly democracy would transform, and in turn be transformed by, an increasingly enlightened citizenry. It would allow us to reclaim and redefine politics not as a detested thing done to us but something we do for ourselves, remaking society into a place where all human beings could fulfill their highest potential: as liberated, creative subjects living in harmony with the natural world. Communalism, he believed, provided the alternative path in the longstanding debate between Marxists and anarchists over whether to work within the state or outside it. The pushback against this decentralized, democratic model has come in both direct and subtle forms: Not only Turkey but also the Iraqi Kurds have implemented embargoes that have prevented medical aid, building materials, and other desperately needed supplies from reaching devastated Rojava towns such as Kobani, some of which are still under attack from the Islamic State. And in October 2015, Amnesty International released a widely publicized report, accompanied by a hyperbolic press release, criticizing the Kurdish militia for forcing local Arab residents in some YPG-controlled areas to leave their homes, which were then demolished. The YPG issued a point-by-point rebuttal that raised serious questions about the methodology and accuracy of the account, including the reliability of some of the witnesses, who, according to the YPG, were working with the Islamic State. However, the YPG response received far less media attention than the original Amnesty International report. As the YPG, the autonomous government, and non-Kurdish residents of the region have noted, the level of cooperation among ethnic groups in Rojava is widespread. Power-sharing arrangements actively encourage the participation of non-Kurdish residents and particularly emphasize a role for women. In addition to having full legal rights and privileged decision-making powers over all women’s issues via separate women’s councils, and serving as co-presidents in every significant administrative position, women are, by law, empowered to make up at least 40 percent of every governing body in Rojava. In a contrast with ISIS that couldn’t be starker, the Rojava Kurds have achieved something unparalleled almost anywhere else in the world: the creation of a stateless, religiously tolerant, pluralistic, anticapitalist, ecological, egalitarian society. It’s a model of meaningful political change that should inspire progressives all over the world—and for which the American left should show its strong solidarity. For about a decade, Kurds in the southeast region of Turkey have also begun to put into practice Öcalan’s ideas, creating directly democratic governance structures over institutions such as schools, libraries, and health clinics, even while coexisting with local Turkish officials. A new generation of young people, largely aged 15–25, has formed militias within these towns to defend this self-rule. Calling themselves the Patriotic Revolutionary Youth Movement, or YDG-H, they are committed to Öcalan’s vision of democratic confederalism, vowing to protect this nascent experiment in their neighborhoods by keeping out Turkish armed forces. These are the insurgents that Erdogan is targeting. During that December assault by Turkish troops, the YDG-H youth employed trenches, blockades, and small firearms to keep out the tanks. More recently, as the world has largely ignored the plight of these besieged cities, the violence has escalated. Recently, the PKK took responsibility for a police-station bombing that killed five civilians as well as police officers. Diplomats have been quick to blame the PKK for this escalation of violence, but as others, including Noam Chomsky and 1,200 academics, have pointed out, it is the chaos created by Erdogan that has led to this tragic downward spiral. The PKK should not succumb to Erdogan’s bait by engaging in acts of retaliatory terrorism—but the West should be ashamed for its hypocrisy in failing to take the president to task for the deaths of some 200 civilians, including 39 women and 29 children, at the hands of a government that is aiming artillery strikes and executions at the civilian population as a whole. The answer to the question of who is really terrorizing southeast Turkey is all too clear. There can be no doubt that the Obama administration, when it wants to, can influence Turkey directly. When Turkey encroached upon Iraqi territory in December, President Obama asked Turkey to withdraw its troops, and Erdogan promised to do so. Common wisdom suggests that the US and EU are reluctant to intervene because they are playing realpolitik with their NATO ally—appeasing Erdogan in exchange for their continued use of Turkey’s airbases for anti-ISIS missions and his preventing refugees from migrating to the West. But despite massive military aid, Erdogan has proved the most unreliable of allies, preoccupying himself with bombing PKK outposts in northern Iraq rather than fighting ISIS. He has helped smuggle ISIS fighters and weapons across Turkey’s borders and is widely suspected of purchasing ISIS crude oil, thus providing direct economic assistance to the Islamic State. And he has repeatedly tried to undermine the only consistently successful fighting force against ISIS in Syria: the Kurds. As academics and newspaper editorial boards have pointed out, Erdogan no longer cares about democracy or liberal values. Praising “Hitler’s Germany” as an effective model for the consolidation of power he seeks, Erdogan makes no secret of his authoritarian leanings, clamping down increasingly on press freedom, torturing political prisoners, and polarizing the country’s population by labeling dissidents as “terrorists.” When the 1,200 Turkish and foreign academics from a group calling itself “Academics for Peace” signed a petition in mid-January calling for an end to the violence, Erdogan accused them of being enemies of the Turkish state. In the intervening weeks, 27 of them living in Turkey were detained and some were dismissed from their posts; some of their offices have been raided; and investigations have been launched that could send them to jail for five years if convicted. Erdogan has also initiated investigations of the pro-Kurdish People’s Democratic Party and threatened its co-chair, Selahattin Demirtas, with prosecution for a statement supporting Kurdish self-rule. Why would Erdogan resume the peace process when his NATO allies give him tacit permission to brutalize his own people in the name of combating terrorism? As long as the West supports the PKK’s terrorist designation, Erdogan is cynically betting that Washington and the EU will remain silent while he doubles down on his longstanding goal: to obliterate the Kurdish freedom movement altogether and mop up every last political opponent. So far, he has been right. But it is time for Obama and his European counterparts to call Erdogan’s bluff. Western diplomats should insist on the immediate withdrawal of Turkish troops from the towns of southeastern Turkey, before a complete slaughter of political opponents and Kurdish youth is committed in the name of “protecting” the people from the PKK. And if American and European officials truly believe in human rights and the need to foster democratic values in the Middle East, they should revisit Öcalan’s social vision, clearly spelled out in Rojava’s constitution, the “Social Contract”—which reads like a modern-day Bill of Rights—and follow the advice of the Dutch, Icelandic, and Danish parliamentarians and other experts in delisting the PKK as a terrorist organization. To help end the violence, and as a matter of human rights, Western negotiators should pressure Erdogan to end Öcalan’s isolation on the prison island of Imrali. They should insist that Syrian Kurds be included in any negotiations about the future of Syria, and they should mediate a settlement that will support autonomy for the Turkish Kurds just as the United States has for the Kurds in Iraq—not only because the PKK’s sister militias in Syria have been the only consistently effective fighting force against ISIS in the Middle East, but because it is time to recognize that all Kurds deserve what has been so long overdue them: the freedom to rule their own lives. If the United States refuses to send Erdogan the message that his vengeance on opposition parties and the Kurdish people will not be tolerated, it’s time to ask what exactly the West is aiming for in the Middle East and what kind of “democracy” it believes it is fostering. 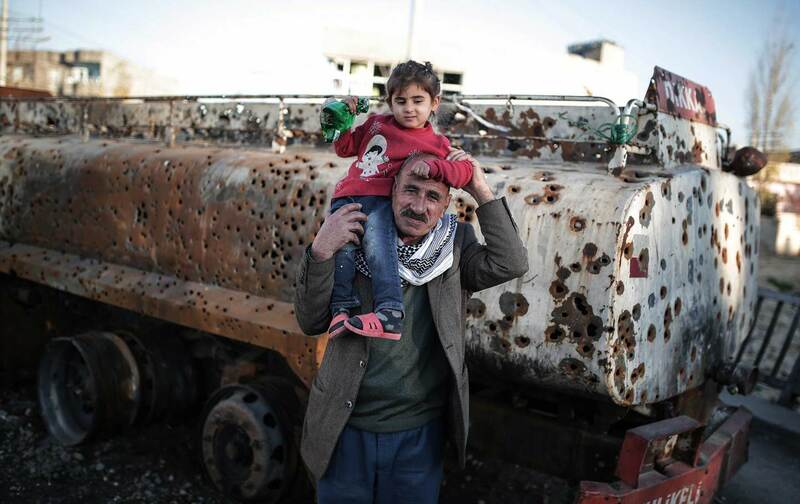 Last summer, Kurdish leaders stated that they would gladly abide by a US-mediated cease-fire. Every death since then has been blood on our hands. Debbie BookchinTwitterDebbie Bookchin, journalist and author, is co-editor of The Next Revolution: Popular Assemblies and The Promise of Direct Democracy (Verso Books, 2015), a collection of essays by her father, Murray Bookchin. She served as presidential candidate Bernie Sanders’ press secretary from 1991-1994.